The talented peeps at Hamburg’s Music Highschool (Jugendmusikschule) are not only inspirational music teachers and music makers, they know how to throw a party. In this case a kind of cross-cultural hands-across-the-ocean kinda party. Two youth orchestras in two cities on two different continents, work on the same repertoire; Bring them together for a knock-out performance at Hamburg’s Laeiszhalle and voila, China Inn, the inaugural Hamburg/Shanghai Music Schools exchange is born. Encore! SCOTT. 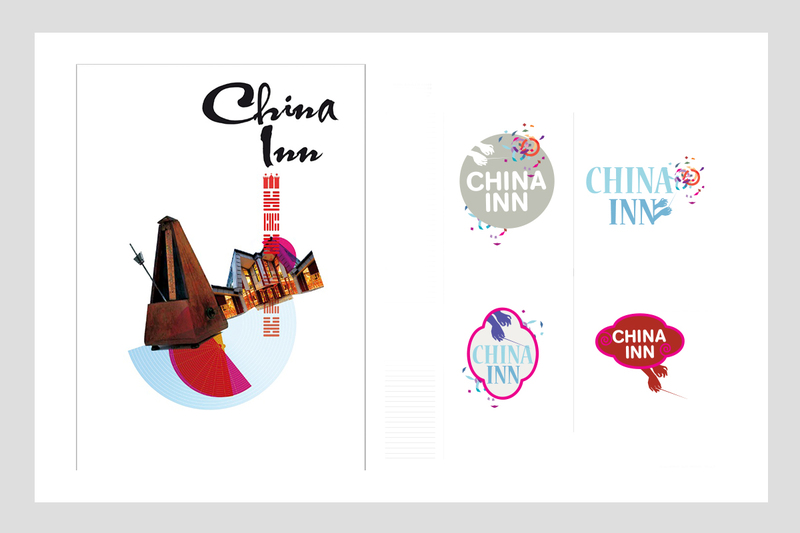 Design + Text created the China Inn logo which popped up all over town. Here are a few earlier versions for your viewing pleasure.